News - Kodaline to release Styles song? Kodaline to release Styles song? 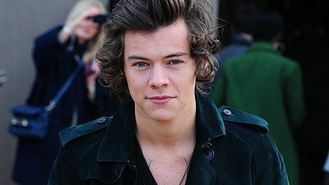 The Irish band's frontman Steve Garrigan said he was a fan of the One Direction star after spending time with him in LA recently and had been pleasantly surprised by Harry's talents. He told the Daily Mirror: "We would release a song with Harry. We ended up writing a song and having fun. Whatever's released is released. "We did write a really cool love song. His voice is really strong. I didn't know what to expect, he just started singing. I was like, 'Wow, he's got a great voice'." Meanwhile, it looks like Harry could be spoken for as his ex, model Paige Reifler, has said things are back on between them, confirming: "Yes, I am seeing him."